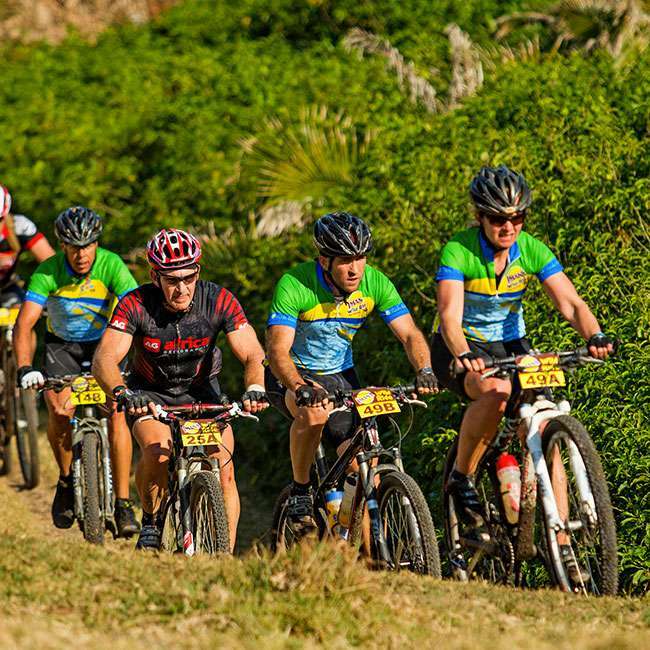 The IMANA Wild Ride takes place along one of the world’s most pristine and rural coastlines with an abundance of fauna, flora, marine life and breath-taking scenery against a backdrop of Xora customs and traditions. 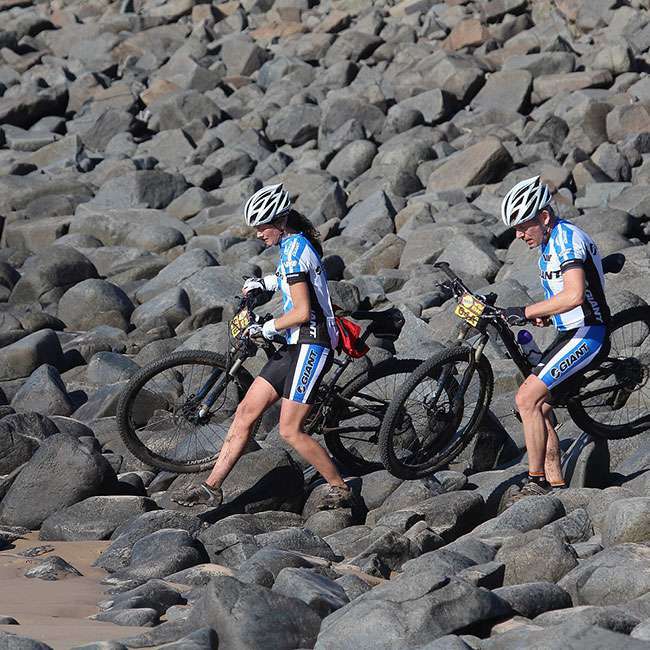 The event starts at the Great Kei River; about 80km north of East London on the eastern shoreline of South Africa and finishes four days and nearly 200km later at the award winning family resort of Umngazi River Bungalows. 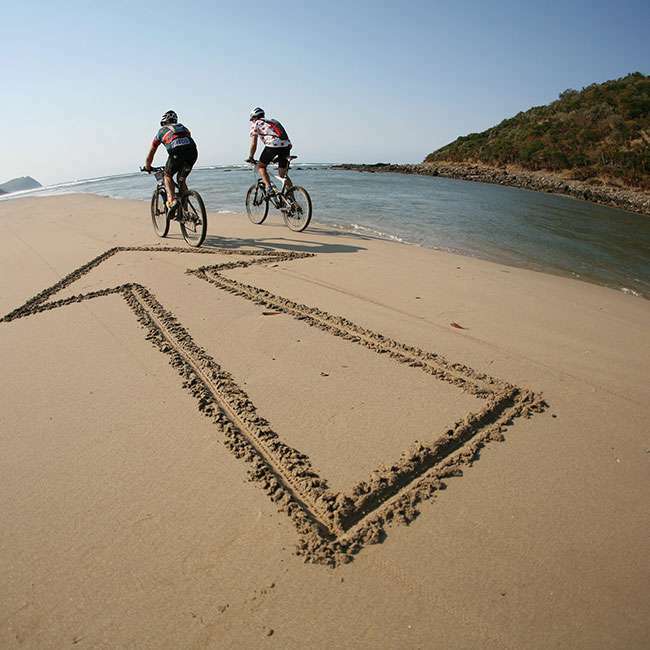 Riders depart on the first day from Morgan Bay Hotel and enjoy a 5km neutral zone to the starting point at the Great Kei River Mouth. The first overnight is at Kob Inn, making the total riding distance for day one about 50km. The second day finishes at The Haven, the shortest day at 35km. Ocean View Hotel in Coffee Bay is the finish for day three, a tough but scenically diverse day over a distance of 50km. The fourth and final day is the longest day and is rewarded by arriving at the magnificent Umngazi River Bungalows, some 60km later. The daily distances on the Imana Wild Ride may not seem significant in terms of regular mountain bike stage racing but don’t be fooled. 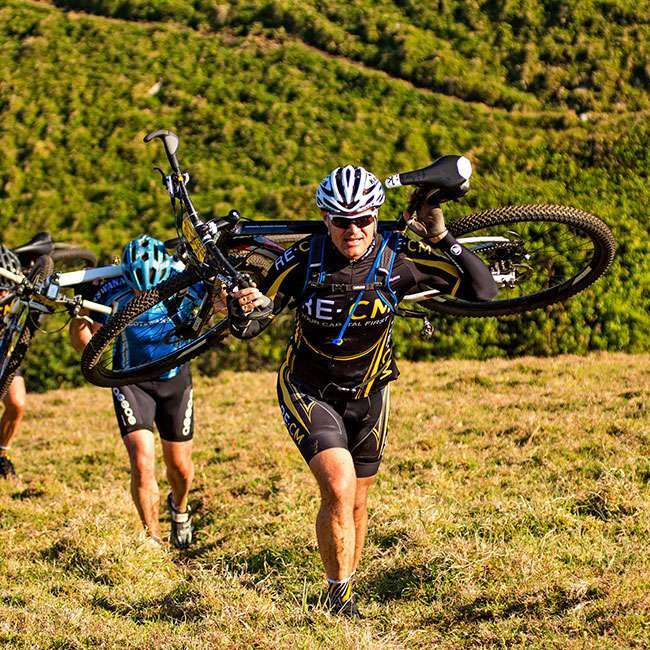 This is no ordinary mountain bike stage and hence it is defined as an eco-adventure. 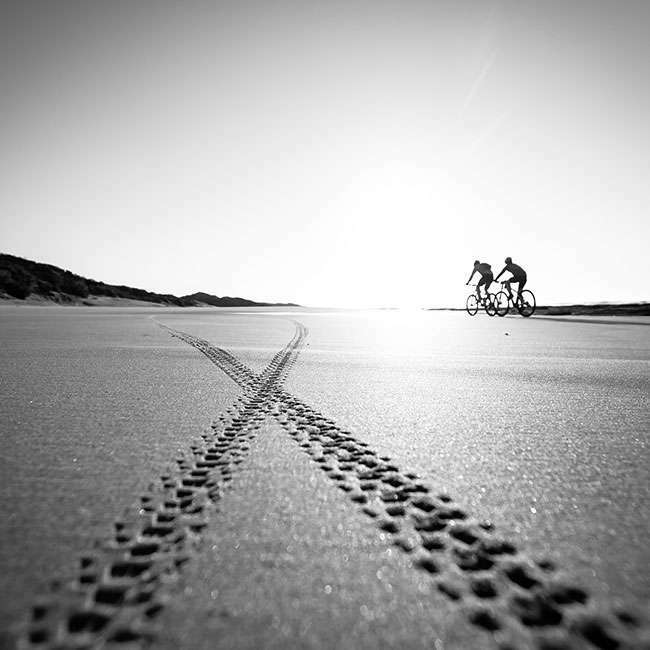 Participants are tested with mastering the art of sand riding, soft sand sections on and off the bike, several portage sections, some hefty hill climbs, river crossings (which may require a little swimming) and best of all the most exhilarating beach riding. Due to the nature of the region and it’s remoteness, it is not logistically possible to mark the route. And unlike the new trend in stage racing, the use of GPS is strictly banned. 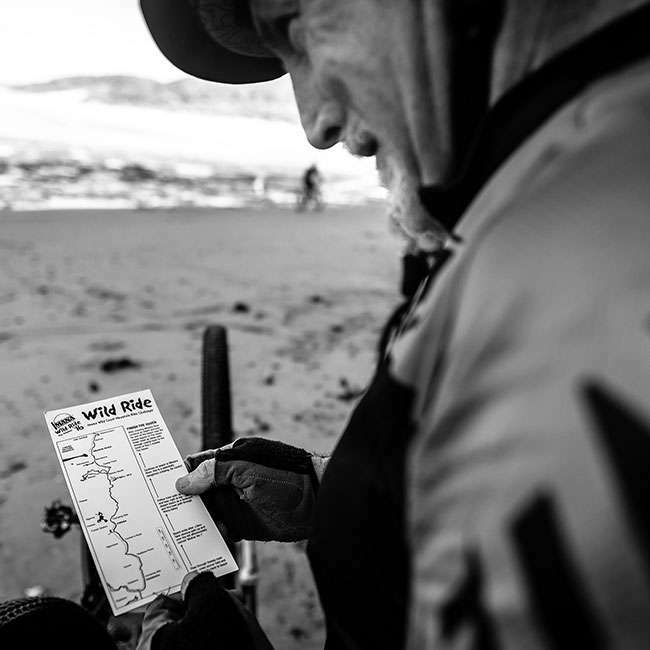 However, route cards are available to new teams at registration which provide enough detail to get from A to B. The golden rule is to keep the sea on your right and do not stray more than two kilometres inland. It is a good idea to tag onto a team who knows the route. Where the terrain does not allow for riding (and in some cases portaging), it may be necessary to head inland. You can be sure that you will question your direction at least once every day and more than likely get lost at some stage over the four days – but you are “Out there alone, racing the tide”. Some of the more experienced and competitive teams have taken to ‘tripping’ the route in the month’s leading up to the event. While we encourage this eagerness, please ensure that the relations we have developed with the local communities is upheld; always respect that you are riding through their land, always greet with Molo (single) or Molweni (plural), don’t drop your litter or harass their livestock. Permits for Dwesa / Cwebe Reserves (Day 2) and Hluleka Reserve (Day 4) are obtainable from the gate as you enter the reserves (Cost is R30pp – 2016 Rates). 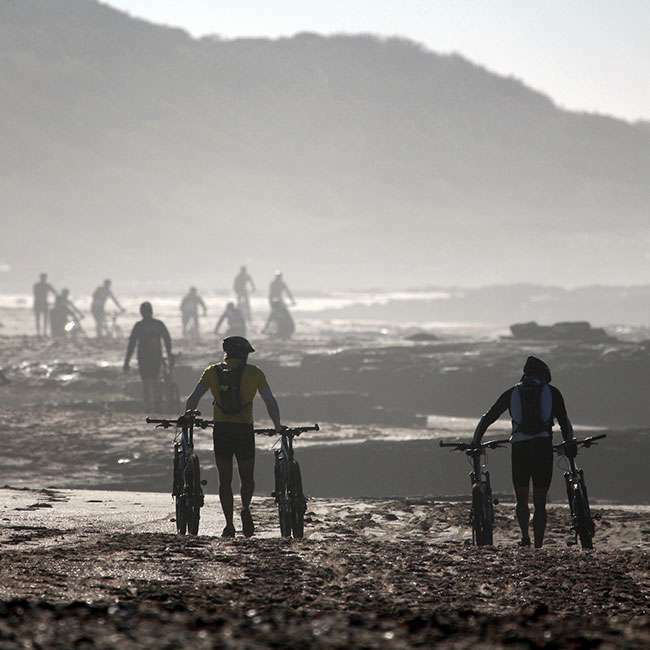 We have developed a good understanding with Eastern Cape Parks and Tourism, who were initially reluctant to let mountain bikers pass through these areas and we would be saddened if a few private individuals were to spoil this privilege at the expense of the race and others who wish to enjoy riding through these reserves. Please heed this request seriously.